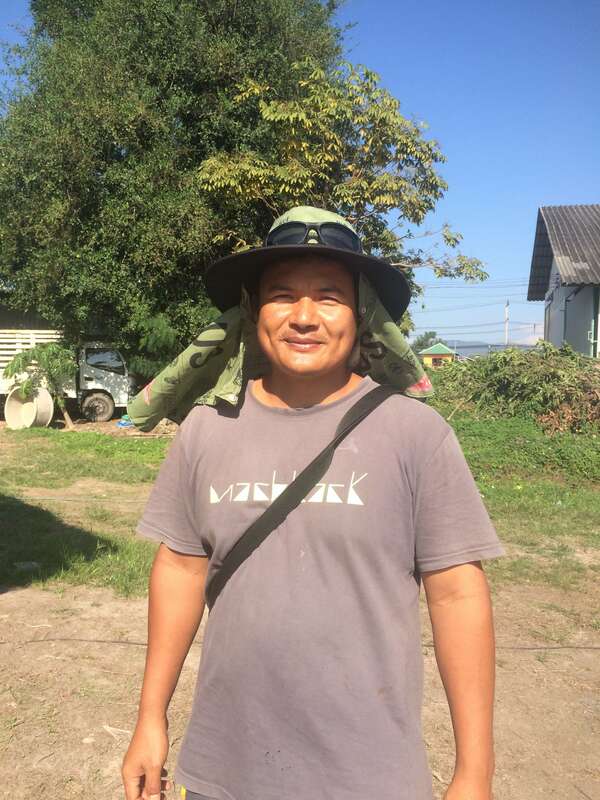 THESE INTERVIEWS WERE DONE IN THAILAND WITH VARIOUS PEOPLE WORKING IN CONNECTION WITH/FOR INTERTRIBAL DEVELOPMENT PROGRAM (I.T.D.P.) FROM THE LANNA FOUNDATION. We want to highlight some people who are making a big difference. Suriyon (Banana) has been a faithful employee of ITDP for over 19 years. 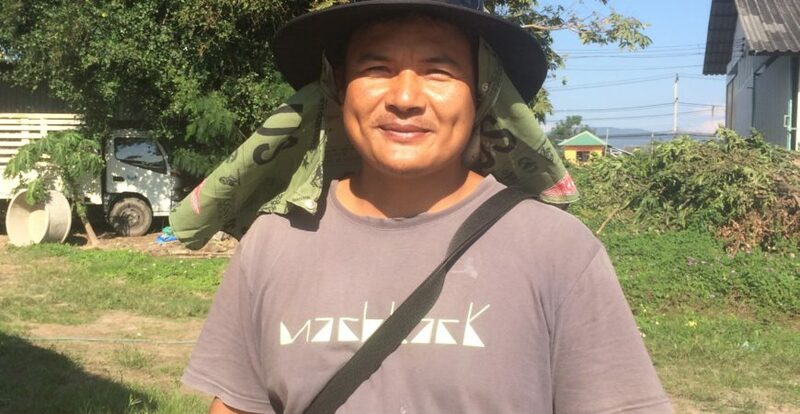 Due to years of having Malaria, he has had to adapt his job position as his eyesight and hearing were affected. He worked on the Water Projects Team for 10 years and Agriculture Projects Team for 1 year and now with the Coffee Project the last 8 years. He is from the Mae Hong Son Province of Thailand and has 2 children. Due to his diligence (and sense of adventure and fun) ITDP was able to reach a new tribe which has become one of the strongest partnerships to date. Describe your job/ What do you do for ITDP? After hulling, he weighs and sends to a sorting village nearby and follows up with the sorting village to educate and know what to look for. When it’s done he picks the coffee up and then brings it back to the warehouse to weigh and makes sure it matches what was sent. Then it goes through 1 more sorting process and he hires the workers for that, as well. Why do you want to work here? I like having one job and working here and I’ve liked it from the beginning so I didn’t change jobs. What drew to work in this job/How did you start working here? Karen Baptist Convention referred him to ITDP. What is your favorite part of what you do? 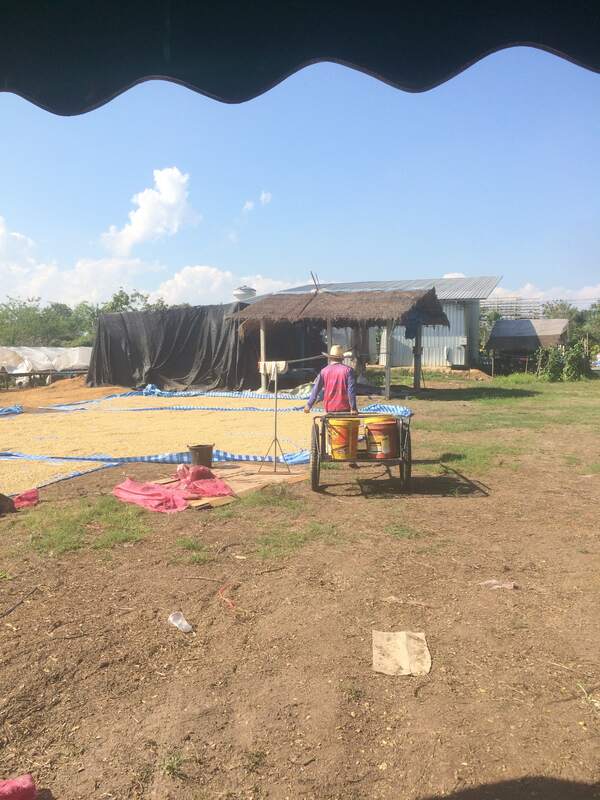 Likes seeing development and coffee changing villages over the many years he’s been doing it and enjoys the progression that coffee has brought and is bringing to this day. 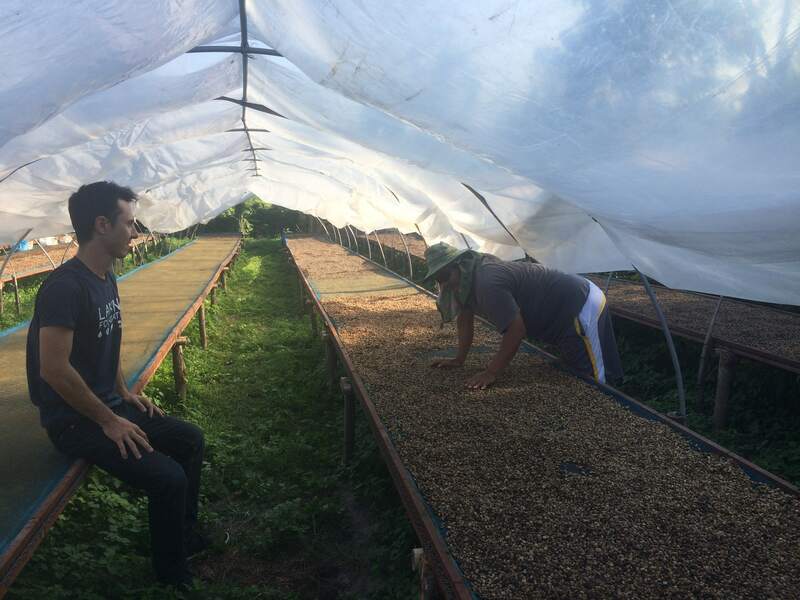 Enjoys learning about new processes for coffee and new ways to process different coffees. Most memorable (special) moment so far? A long time ago before we had gone into MA OH JO there was a village (Pakachae) there was no road and it was his job to go get elephants from the villages for the team who was coming to prepare the road in and the day before the team arrived the elephants suddenly weren’t available. He walked all night without sleeping to another village to get other elephants he learned were available so they would be there for the team to clear the road when they arrived in the morning. He was so happy when they had the use of the Elephants the next day even though he had not slept at all. He was the one who scouted the villages to see who needed coffee and found the area of Ma Oh Jo for ITDP. It was a walk in trail, but he used a motorbike anyway and found the people there! Looking ahead, he is the one most happy with the new gravity table coming in and the processing for sorting to happen faster, so production will increase and stay in good quality. It keeps the coffee in the warehouse the entire time and within sight as we aren’t sure how the village is keeping the coffee once we leave it with them. This will keep it in our hands and vastly improve the quality control! Interviewed by Kelly Mitchinson. Translated by Richard Mann. 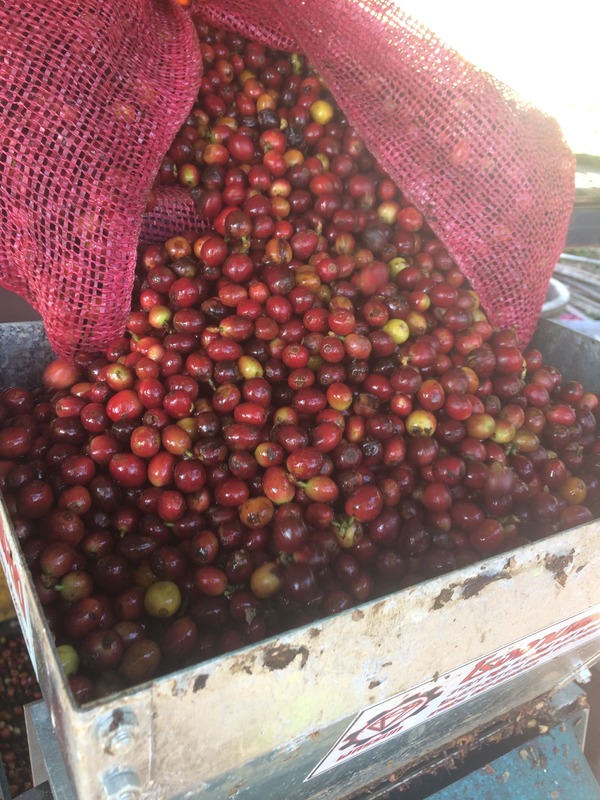 Fresh drop of coffee cherries to be pulped. 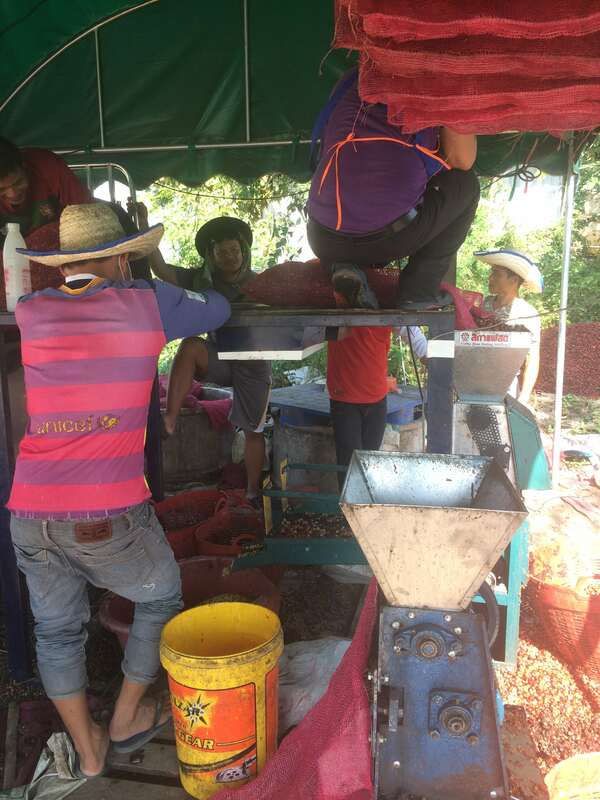 Team receiving 4 tons of cherries to pulp. Pulping Station. Taking beans to the drying beds. 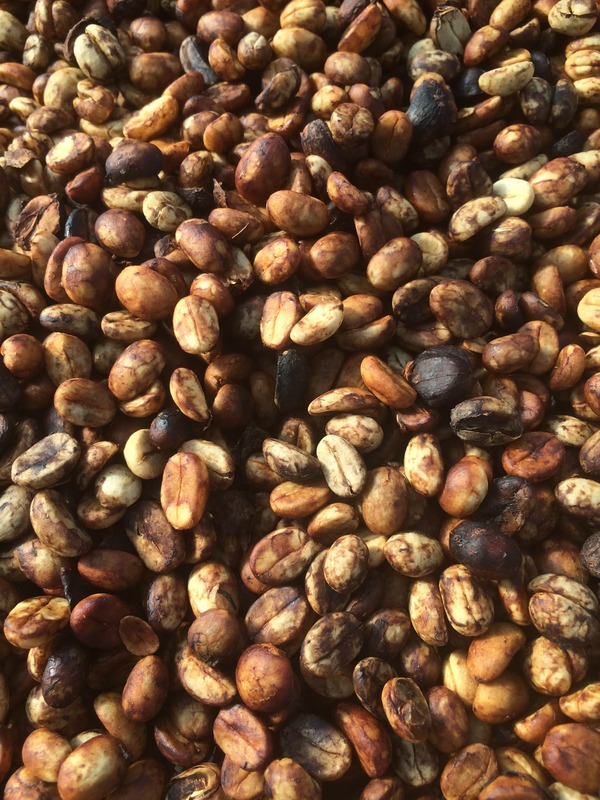 Honey process beans drying before hulling. Photos Taken by Kelly Mitchinson, Board Member.